Estero Island's north end of the island was known as just "the point", with its chiseled point of land formed by currents, wind and wave action. During the late 1800's, cattle driven down an unpaved McGregor Blvd. 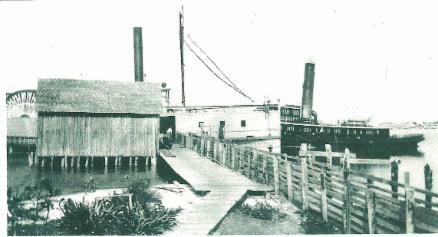 were loaded up at the Punta Rassa docks, seen below (now the site of the toll booth to Sanibel). Here both barges and schooners set sail toward the point, navigating the barrier island waterways southward to Key West and Cuba. It was during these times Baron Collier purchased much of Punta Rassa and Estero Island's north point. After WWII, Tom Phillips purchased the US Govt. Preservation Point property from Baron Collier's estate in 1948. Having previously laid out a business center with small lots near the pier, he immediately leveled the shell mounds to raise the land to surface streets. By 1950 construction at the quiet end of the island was underway, as seen below. 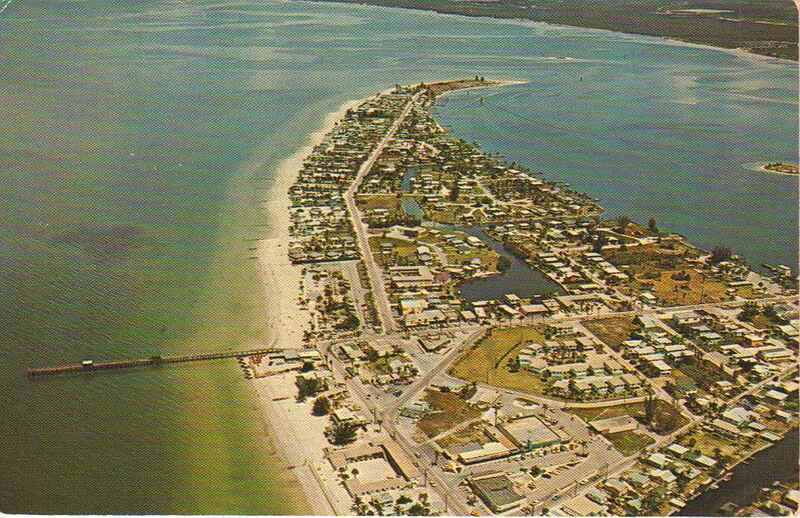 The point property was purchased by Lee County in 1987, and ground was broken in 1992 for the 17 acre point park. It is named for Nathaniel Bowditch, who was instrumental in perfecting celestial navigation. The highest elevations of land were created from spoil material from dredging the channel, with 10 acres kept for habitat and wildlife, as seen below. The remaining 7acres are set aside as recreational, including a public dock on the bayside. Parking is available, and trolleys run daily.